It’s the product that is known Australia wide, pineapple products by Golden Circle. The Golden Circle cannery was founded in 1946 and was established at Northgate (9 kilometres north of the Brisbane CBD) in 1947. 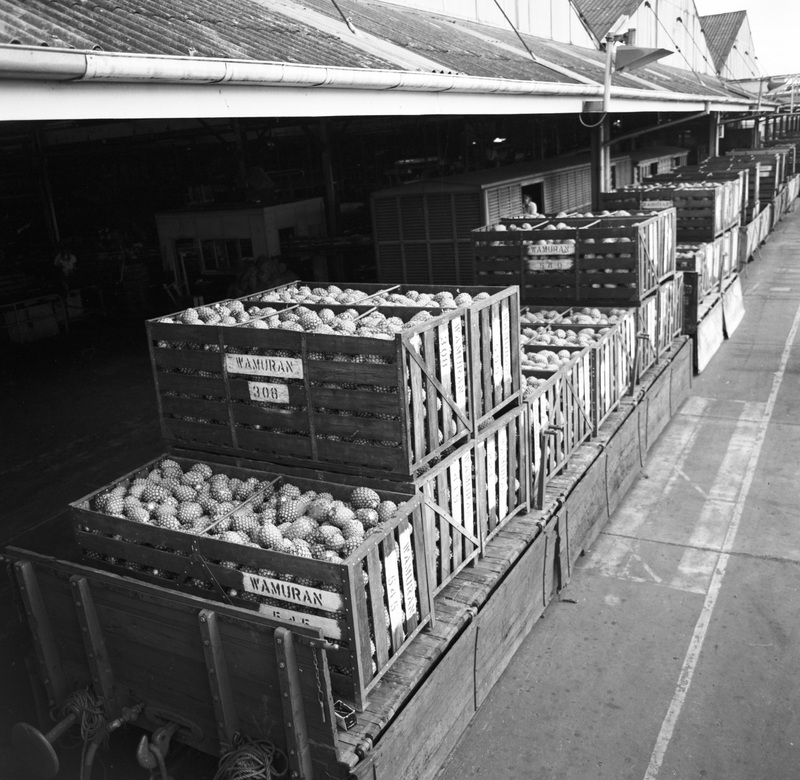 A second cannery opened at Koongal near Rockhampton in January 1953, however it closed in April 1957 and all fruit was transported to Northgate for canning. The company was originally called Queensland Tropical Fruit Products Pty Ltd, with ‘Golden Circle’ used as their brand name. Golden Circle was initially part of the Committee of Direction of Fruit Marketing in Queensland (COD). In 1964, under the leadership of Bernard Flewell-Smith and Percival Savage, the cannery was established as a separate business and began trading as ‘Golden Circle’. It was split off from the COD by an amendment to the Fruit Marketing Organisation Acts. 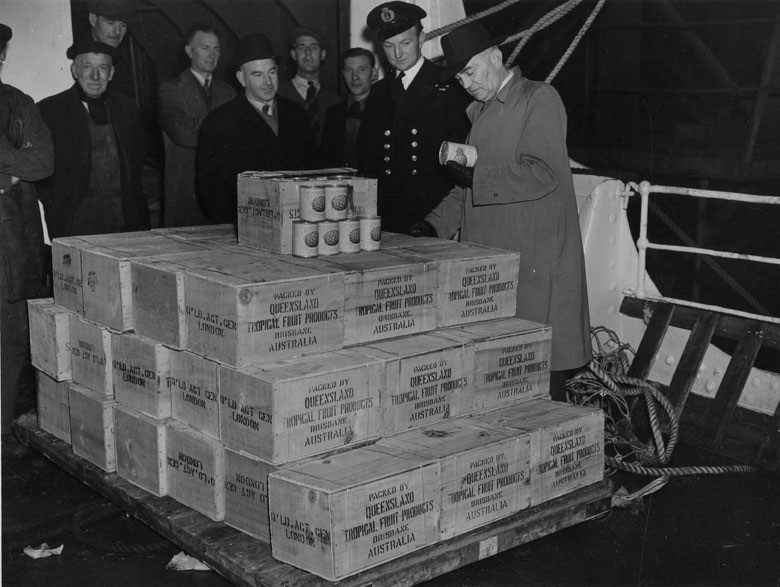 In November 1947, a gift of approximately 500 cases of Golden Circle canned pineapple was presented to Her Royal Highness Princess Elizabeth as a wedding gift. It operated as it was until takeovers bids came out of the woodwork in the late 2000’s. The first was by Coca-Cola Amatil in 2007. Followed up by a bid in 2009 by Kraft Heinz of $1.65 per share ($288 million in total) which was ultimately successful. The Heinz takeover bid was finalised on the 19th of December 2008. It was on that date that Queensland lost an icon. On the flipside, the factory in Northgate wasn’t immediately offshored and is still running to this day. However, it did lose a locally produced Aussie icon, the humble canned beetroot to New Zealand in 2011. Golden Circle manufactures more than 800 products including shelf-stable fruit and vegetables (in cans and glass jars), fruit juices, cordials, soft drinks, jams, conserves and baby food. Funnily enough pineapple products now account for only 24% of the company’s total product range. “Heinz launches Golden Circle takeover bid” http://www.abc.net.au/news/2008-10-06/heinz-launches-golden-circle-takeover-bid/532770, 6 October 2008, accessed 26 January 2018. “Golden Circle Ltd” http://leaders.slq.qld.gov.au/inductees/golden-circle-ltd/ Queensland Business Leaders Hall of Fame. 2010. Accessed 26 January 2018. “1500 See Cannery Opened At Northgate”. http://nla.gov.au/nla.news-article49665049 29 October 1947, accessed 26 January 2018.
thank you for this article, my dad worked there from 1962 until 1998, and my husband from 1984 until 2012, went to school at Nudgee State School and we used to walk to the Cannery as a field trip at least once a year, every grade! Just loved the ice cold pineapple juice! I lived in Rockhampton, albeit I was only nine years old, when they closed down the cannery at Koongal. I remember news reports about truckloads of pineapples dumped in Limestone Creek at Yeppoon which angered locals. Many locals turned up to get free pineapples but the company called in the police to turn them away. I can also remember riding my bike past the empty buildings which soon appeared run down and abandoned. Hi – thanks for sharing your story and your memories with us. ← Save our koala – in 1927!